Our chorus program starts in the 6th grade where students we start our fundamentals. Students are introduced to musical symbols, vocabulary, basic music and the anatomy of the voice. This chorus will learn to sing together and in harmony. In 7th and 8th grade, our chorus now with some experience under their belts are moving to more complicated music and song. Their skill level is intermediate. They are expanding the vocal ranges. It is easier for the students to balance and blend their voices. At Taylor High School, we have a men's choir, women's choir and senior choir. These choirs perform for our district, in competitions and out in the community. Our choirs have performed during Cincinnati Reds games, for "Sing for a Cause" which supports Alzheimer's, and many other events. 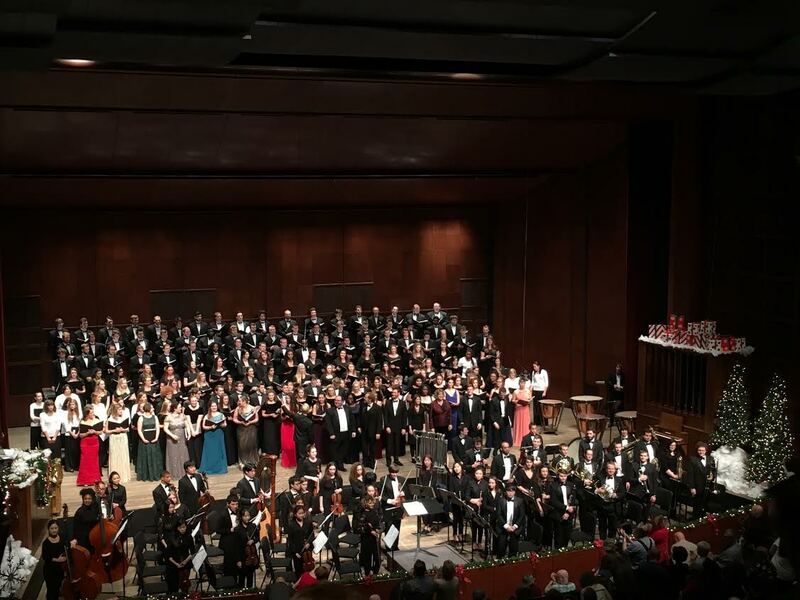 Below is a picture from our 2016 "Feast of Carols" performance at the University of Cincinnati. 1 out of every 4 Taylor High School students are in choir. We have a men's, women's, and senior choir.